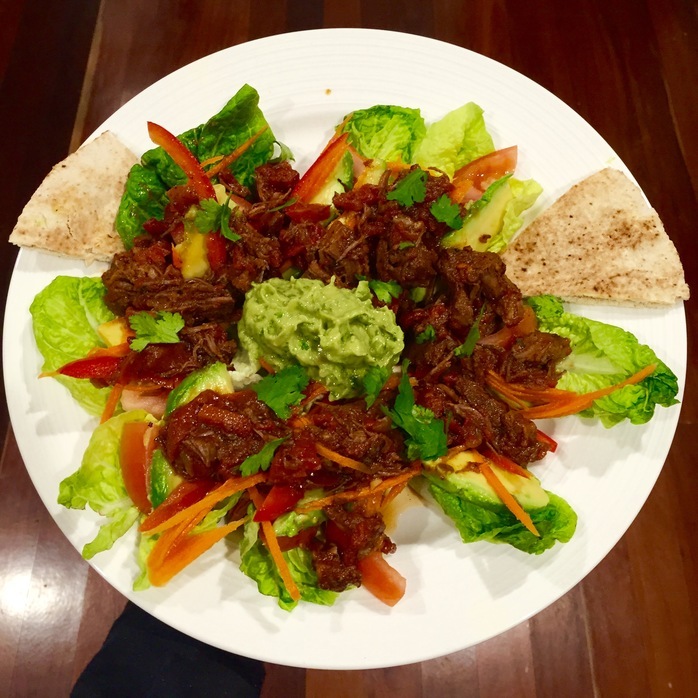 This delicious, tender pulled beef with guacamole and flat bread makes a great share platter. The dry rub gives this beef great flavour. This is a great meal served at parties as the lettuce cups and flat bread make it easy to load the toppings, roll and eat. Serve with salad. Preheat the oven to 160 degrees. Place an oven proof frypan on high. Make 1 cm deep slices, 1 - 2 cm apart, on both sides of the beef. Combine the dry rub ingredients. Coat the beef, pushing the rub into the cuts. 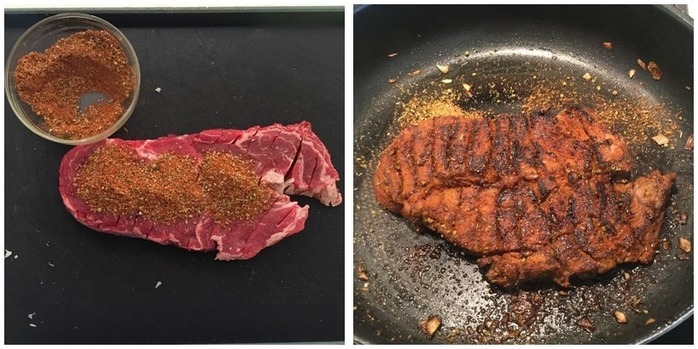 Lightly rub oil on the beef, place in the frypan and sear both sides until brown. Add the braising liquid ingredients and stir. Bake the beef uncovered for 2 1/2 hours. Uncover, turn up the oven to 220 degrees and bake for an additional 30 minutes. 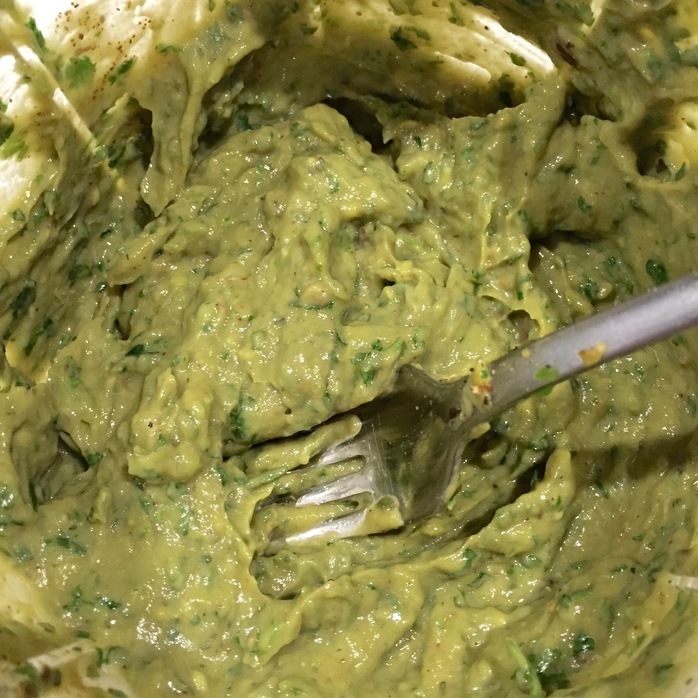 In the meantime, combine the guacamole ingredients with a fork or blender to desired consistency and refrigerate until ready to serve. 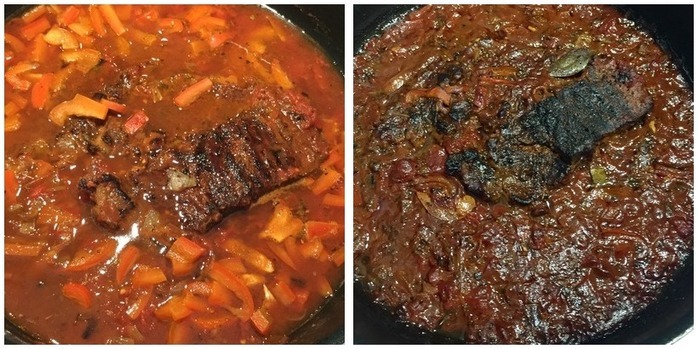 Remove the beef from the oven, use two forks to pull the pork apart, rest in the sauce for 15 minutes. Arrange the cos lettuce leaves, salad and pita bread on a plate. 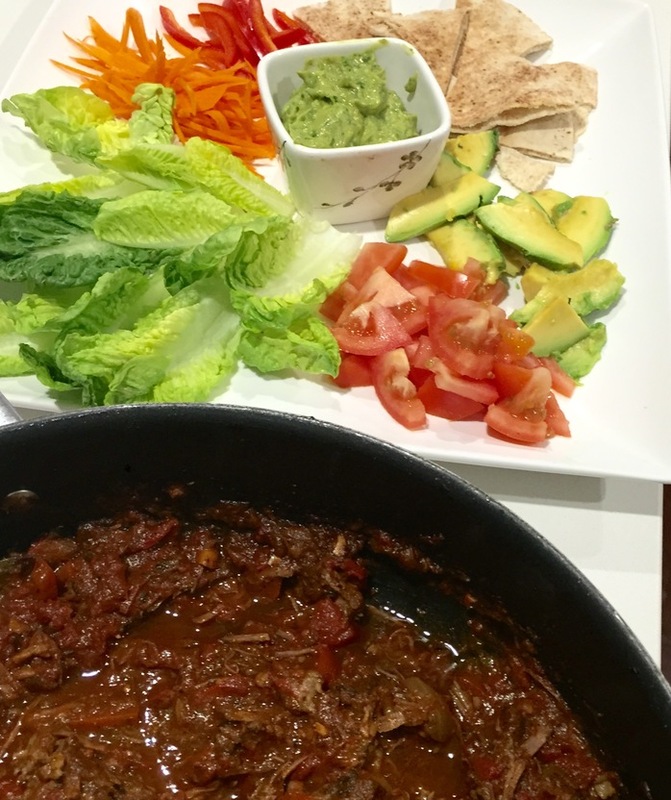 Place the pulled beef into the lettuce cups and serve with a salad and guacamole. Enjoy! Check your beef every 1/2 hour or so to make sure there is a small amount of liquid while baking. Top up with water as required.